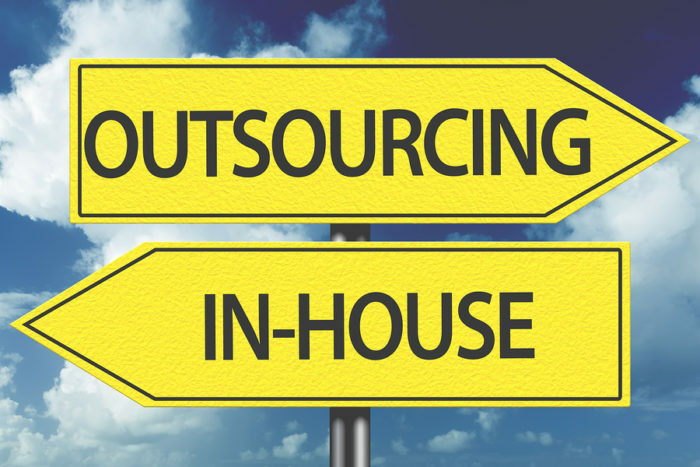 The idea of companies outsourcing key business services is gaining traction like never before. Small businesses, midsized companies and large conglomerates continue to integrate third-party solutions into their operations. And this adoption couldn’t be truer or more transformative than what we’re seeing in the HR space. When businesses team up with external companies or outside liaisons to facilitate talent-based HR processes, it’s known as RPO, or recruitment process outsourcing. Closely related to its more well-known counterpart business process outsourcing (BPO), it’s exactly what it sounds like – contracting with firms or consultants outside the organization to direct and execute talent acquisition and hiring duties. But the capacity for outsourcing critical HR functions can be even more expansive. RPO usually centers around people-oriented human resource functions. Yet the field is even vaster – with the administration of employee assistance programs (EAPs), the management of retirement plans, the delivery of training, development and management offerings, and even the creation and execution of wellness platforms. On a related note, according to the Society for Human Resource Professionals (SHRM), businesses can also achieve new capabilities in areas like employer marketing, diversity recruiting and emerging technologies. Given the scope and scale of externally available HR expertise, it makes sense that employers are apt to latch on to one or more options. Furthermore, in a day and age where the opportunity to offload exists, it may just make logical business sense. This is why businesses benefit when they hire virtual human resource professionals to handle tasks like interviewing, reference checks and even onboarding and new hire training. And these are three reasons why. Establishing an in-house HR team is no simple matter. It’s involved; it’s time consuming; and it can be expensive and complicated. For a small company that focuses on a core deliverable or specialty – be it making glow-in-the-dark office supplies or planning quinceañeras – they just may not have the bandwidth, resources or internal inclination to create a new department from the ground up. Plus, they may not know exactly who to hire and why. An external HR consultant can help by packaging value-added certifications, credentials, education and experience with their professionalism. They will often have industry-leading qualifications, such as SHRM certifications or other in-demand skills related to specialty areas like benefits administration. Additionally, such service providers can usually provide client referrals and successful case studies as proof that instills customer confidence. Aside from this, those who excel in interviewing and screening often have backgrounds in coaching, mentoring, counseling or education. They possess the intuition and ability to see beyond the writing on the resume. They’re comfortable with probing and digging, and not just referring to a script. Not just anyone can do this job. There are so many areas within human resources that it’s hard for a smaller or mid-sized organization to fully staff a department – or even justify doing so. Employee relations, employee benefits, recruitment, training and development, ethics and compliance, and compensation – among others – are key functions of a fully outfitted HR team. Even the talent acquisition side of the house is an intricate organism. Building the business case for a new role can occur months before a position is actually posted. It typically takes two months from the time a job is posted to the day the hired individual starts. This is precious time that leaders and subject matters experts can better spend doing the work they love – and the jobs for which they are truly suited rather than trying to review resumes, schedule interviews and determine the best candidate. There is no exact formula for calculating the cost competitiveness of engaging an external services provider vs. hiring a full internal HR team. And because the realm of available HR expertise is so broad – and the potential terms of engagement so fluid – pinning down a precise figure is all the more challenging. At the same time, partnering with an outside HR expert to handle recruitment and related functions can introduce efficiencies – and enable the flexibility that promotes the bottom line, driving productivity and performance. For example, the cost to engage such a provider could be a one-time fee, or a contracted agreement may allow for scalability – the ability to invest more or less based on business needs. Savings is about more than reduced costs, and it’s more than a simple dollar amount. It’s about optimizing team members’ and leaders’ time so they can focus on the work they love and what they do best. And that’s what the best savings does – reduces stress and makes space for peace of mind. Krisha Buehler is HR manager and Culture Cultivator at BELAY. BELAY matches professional virtual specialists with clients across dozens of industries, providing them with expert executive assistants, bookkeepers, web masters, and content writers. BELAY walks alongside leaders in the U.S. and Canada to help them achieve the personal and professional results they always knew were possible. Every leader thrives with the support of an intentionally matched, exceptional virtual specialist.